Vaarso Battlespeak Notation: Clipsos is the name given to the “Null Set” (Ø) in the Tohaa language. As a symbol, Clipsos denotes absence but also potentiality, which is why it has become the denominator of the Tohaa invisible troops, those capable of anything. 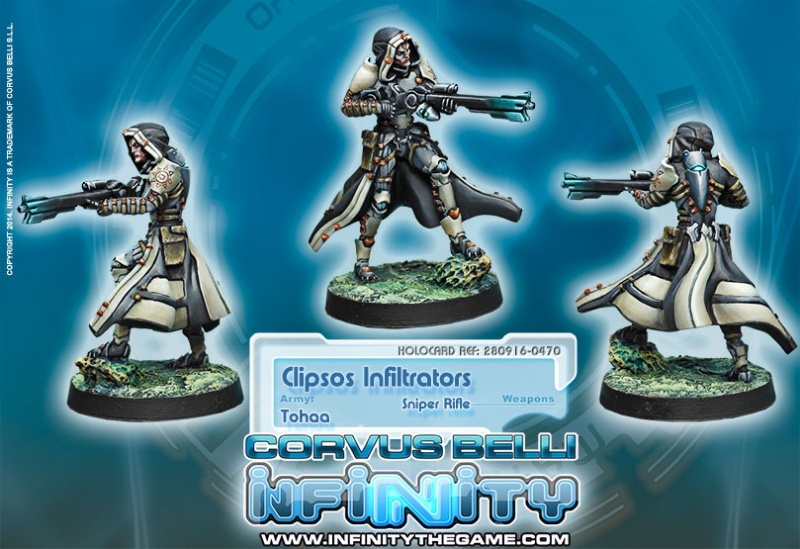 Profile: Clipsos Infiltrators make up the Executive Action, infiltration and deep surveillance unit of the Tohaa army. Because of this, inside the structure of the Tohaa Trident they are under the operational control of the Exploration and Intelligence branch, the Tohaa equivalent of a Military Intelligence service. 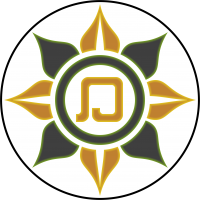 The primary mission of this invisible unit is to compile vital information about an enemy and its resources as well as carrying out missions involving the elimination of people and strategic objectives, and performing black operations and unregistered actions. The Clipsos are undetectable executioners able to escape through the gaps in an enemy’s lines. 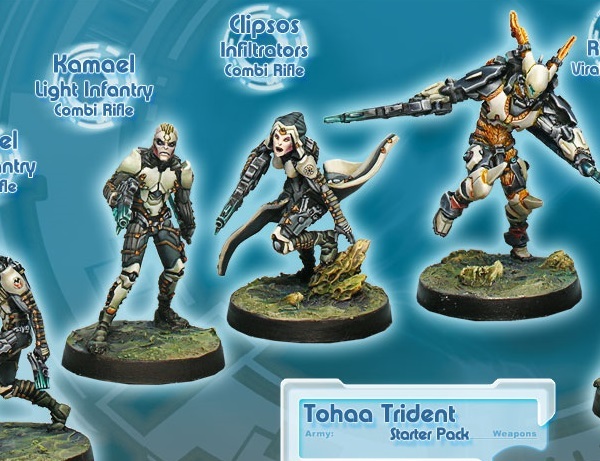 Clipsos Infiltrators have a very strict recruitment process, as not many Tohaa can fulfill the minimum requirements to be a part of this unit. Their members cannot be married or belong to any Triad, be it civil or military, and the selection process emphasizes psychological evaluation, constantly testing their temperament. 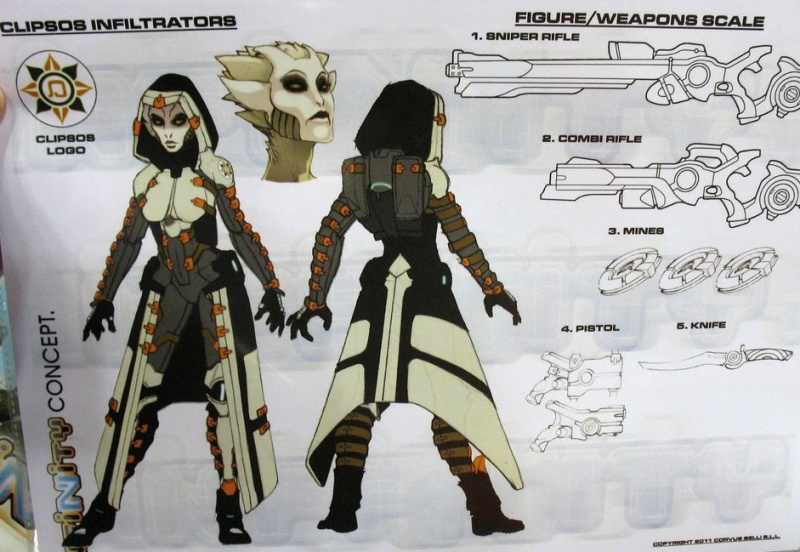 Only loners and strong individualists, uncommon in Tohaa society, are capable of enduring extended missions in hostile territory, isolated, without provisions or contact with allied forces. However, the essential elements to becoming one of these invisible operatives are a steady hand and the lack of empathy so characteristic of a long range killer.